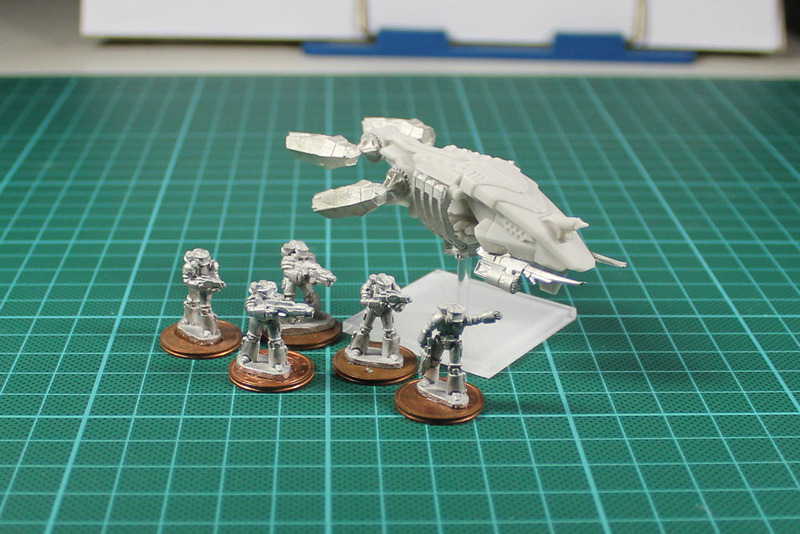 As i want to try out 15mm Sci-Fi, I am looking for fitting miniatures. As I am more or less settled on the ARC Troopers as Infantry from Critical Mass Games. The range to choose from isn't that large and i was thinking about using these Cruisers from Firestorm Armada as Medium or Light Tanks. The Heavy ARC Troopers are rather large miniatures, almost 20mm, i have to get some of the regular and light troopers at this Weekend Crisis. 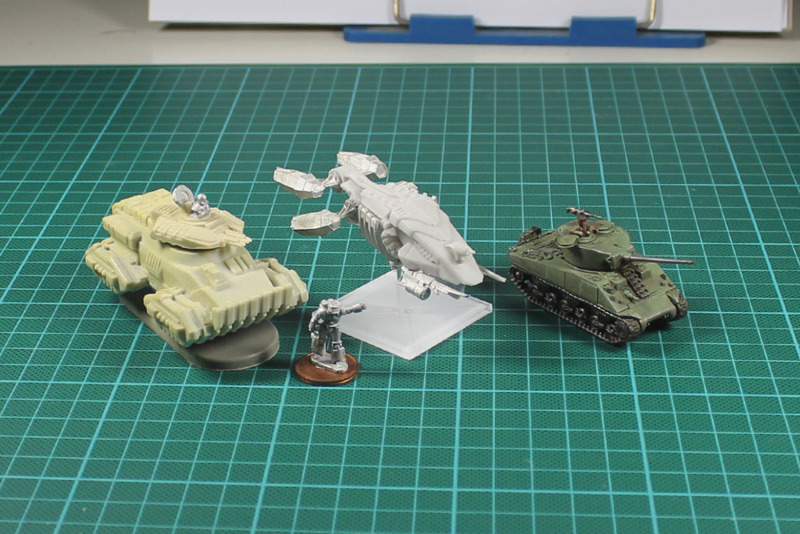 You may think that the spaceship is a little bit small, therefore a scale comparison to other 15mm vehicles. On the Left an Medium ARC Tank and on the right a Plastic Soldier Sherman, both 15mm Scale. What do you think? I like the real sci-fi look, but I am still searching for additional matching vehicles, as APC etc. Any recommandations? Das sieht schon ziemlich passend aus, aber ich würde die Triebwerke evtl anders platzieren. Ein Paar an den Bug der Maschine und nur ein Paar ans Heck, damit das ganze mehr nach Panzer und weniger nach Flieger aussieht. Die kleinen Fregatten, die wir uns letztens mal angeschaut hatten, würde ich als Scouts spielen, also wie Buggys oder so.